Airbnb Inc. is looking to raise an additional $153 million as an extension of a recent funding round, boosting its coffers as the company pushes forward with relentless global expansion. The growth story that has transcended geographies continues to impress and the Silicon Valley unicorn's expansion has become much less about the U.S. market at the moment. Knappily explains how Airbnb disrupted an entire industry to earn their $30 billion valuation. 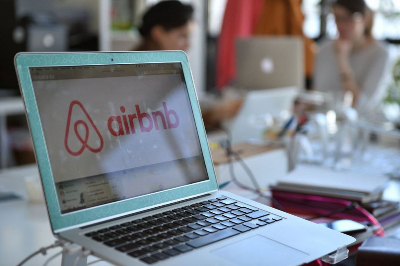 Airbnb has authorized the sale of up to $153 million in equity to investors, according to venture capital database CB Insights, which obtained the company's financial filing. The company had raised over $555 million in September and this is just an extension of the round, according to financial filings.The price per-share for the sale is $105, up from the $93.09 share price the company commanded in its 2015 financing round, according to CB Insights. Airbnb provides a platform for homeowners to rent out their house or a room to short-term renters at low prices. The company has revolutionised how the hotels approach their businesses, and is a quintessential example of another internet company that has disrupted the industry. Airbnb is currently valued at $30 billion which means that co-founders Joe Gebbia, Brian Chesky and Nathan Blecharczyk have been approaching things just right. Note: A bed and breakfast (typically shortened to BnB) is a small lodging establishment that offers overnight accommodation and breakfast. The wiki entry says BnBs are often private family homes and typically have between four and eleven rooms, with six being the average. They are usually operated as a secondary source of income. Why is Airbnb so successful? Airbnb connects hosts with travellers and facilitates their interactions and exchange. This way, it competes with the traditional hotel industry itself without appearing to do so. Airbnb and its many clones address the same problem that is addressed by a vendor or a service provider except they do it without owning inventory or even exerting control on the service itself. Value creation: Airbnb has allowed anyone with a spare room to run a BnB, by letting them access a potentially global market. Value consumption: Travellers didn’t use to stay in strangers’ apartments until Airbnb came by and changed this behaviour. Quality control: Airbnb addresses quality through peer curation and review. Scale: With technology and intelligence, Airbnb can scale up by leveraging data and improving user experience. The company also focussed on the social aspect of consumerism by offering the customer to purchase the service from a person. 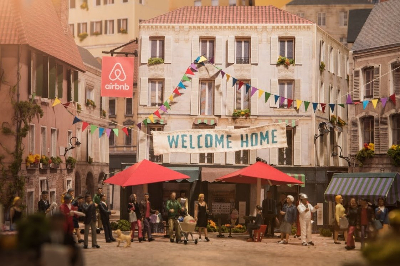 The peer-sharing aspect has allowed Airbnb grow at a surreal pace. When did the previous disruptions in the industry occur? Hotels weren’t the norm in the US in the early 20th century.A majority of Americans didn’t used to stay in hotels before World War II. While luxury hotels were typically occupied by the wealthy, the others frequented boarding houses for temporary stays. In was the 1950s that changed things for the hotel industry as the interstate highway system enabled more family travelling. 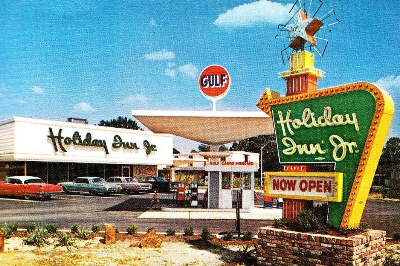 This gave birth to several hotel chains such as Holiday Inn (1953). This was the first disruption in the industry as this added a tinge of predictability to the travellers’ experience. Timeshare, where multiple families would purchase a property jointly, made the next disruption possible in the 1970s. Units could be on a partial ownership, lease, or "right to use" basis, in which the sharer held no claim to ownership of the property. While the chains resisted the idea at first, they eventually caved in and even offered timeshare properties. The next disruption was brought about by boutique hotels in the 1980s by focussing on design and offering a unique experience to travellers. Airbnb was founded in August 2008 when its three founders rented out air mattresses on the floor of their San Francisco apartment during a design conference, when most of the city's hotel rooms were sold out. In retrospect it may seem Airbnb had it easy all along. However, the founders had to struggle to raise funds in the early stage of their business - so much so that they started an unrelated temporary business to fund Airbnb. Brian Chesky, Co-Founder and CEO would later call it the ‘best weight loss program ever’. Their first bulk of cash funding came from the idea of buying generic cereal and creating a special edition election themed box that portrait Obama and McCain during the 2008 US presidential race. The boxes of cereal sold for $40 a box. Though they were over-priced, the founders, two of whom are graphic designers, could make $30K in profit. This was their first round of raised money. It was their way of saying, no investor, no problem. Then the investors started coming. The first round was a modest $20,000 seed money from Y Combinator (and are they not proud of this!) in Jan, 2009. 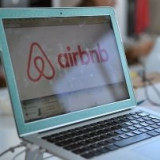 Three months later Sequoia Capital funded Airbnb with $600,000. In Nov, 2010, Airbnb received a whopping $7.2 million from Greylock Partners in their Series A round. There was no looking back. Airbnb kept growing relentlessly and the investors kept on funding their growth. The company has closed 10 rounds of funding so far. The ones who had funded their business by selling designer cereal boxes can now practically choose their investors and order the sum. This was possible because they were not just growing their business - they were disrupting the industry. ‘Disruption’ is one of the most abused words in the start-up world. Mostly because it is used interchangeably with innovation.While disruption involves a lot of innovation, not all innovations are disruptions. Only the former has the capability to change how we think, act and do business. The confusion typically arises when a company adopts a radically new technology. In his book “The Innovator’s Dilemma”, Clayton Christensen of Harvard Business School first propounded the theory of disruptive innovation. He used it to describe those innovations that create new markets by identifying new categories of customers. These markets become visible via new technologies and through new business models. Sustaining innovation, Christensen explained, only improves existing products by lowering the price, streamlining production, etc. 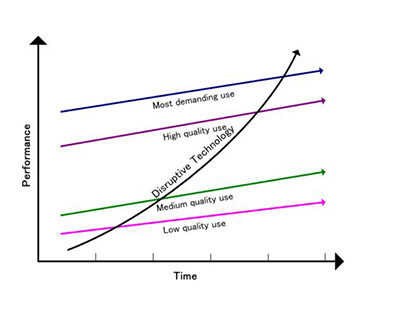 Christensen explains how disruption displaces an existing market, industry, or technology and produces something new and more efficient and worthwhile.Disruption is willing to forgo some attributes that used to appeal to a market, in order to gain advantages in a different market. It is just as creative as it is destructive. Personal computers were disruptions because they were the product of innovations and the idea of a computer in every home. Previously mainframe computers were not only expensive but were only used by corporations and research universities. Airbnb clinched the No. 2 spot on this year's CNBC Disruptor 50 list earlier this year. 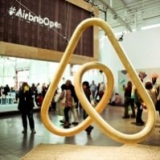 Who precedes Airbnb in disruption? The last two decades have seen a plethora of disruptions brought about by internet companies such as Wikipedia, YouTube, Amazon, etc. One of the most recent disruptions that have put traditional counterparts out of business is Uber. 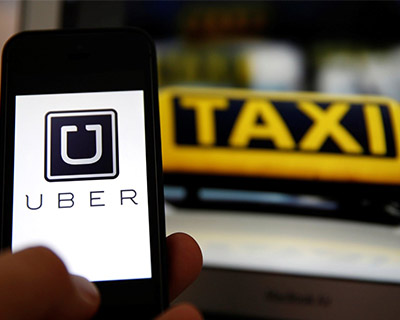 Uber allows a cab service be sent to their doorsteps with the push of a button. The drivers own their own cabs, use the Uber service to connect to customers and get a commission from Uber from the fare. Taxicabs have been a norm across the world. These yellow cabs used to be ubiquitous and offered people a ride whenever they wanted to reach a required destination. But Uber changed things even for these friendly taxicabs. Uber also does this more efficiently than its copy-cats by making the service cheaper and modernized. The interface is simple and personalised. The customer can even pay for the ride with the press of a button. All these companies show that a dated concept can be revolutionised with a technological spin.And if it can also be made cheaper for the customer, the chances of succeeding are high. 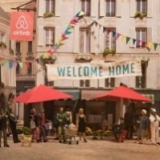 How is Airbnb positioning itself now? Airbnb has turned vocal about its success over the past few years about the company doing well especially at major events like World Cup in Brazil in 2014, the New York Marathon last year, and Super Bowl, etc. The focus in its promotions has been on the room-sharing company’s value in fulfilling the demand for rooms that the hotels alone could rent out. This has made the company appear viable to business travellers who travel for conferences and other events looking for a personalised experience. They have embraced the service the most for they have put up with hassles in logistics, security and even bill payment. This has resulted in Airbnb growing exponentially over the years.Between 2010 and 2015, the company grew from 47,000 to 17 million customers. 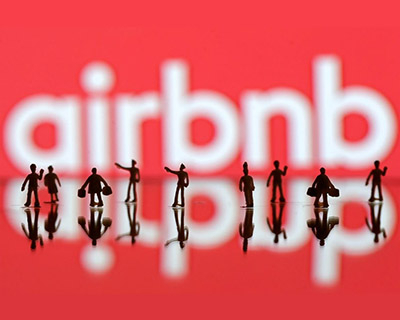 As the business travellers are now looking for more customised experience, Airbnb is formalizing products and partnerships to help planners of the ‘meeting industry’ incorporate Airbnb listings into their programs.